Prabhas is known as Uppalapati Prabhas Raju born on 23rd October 1979 in Chennai Tamilnadu is an Indian film actor associated with Telugu Cinema. Prabhas made his film debut Eeswar. He won the Nandi Award for Best Actor , for his role in Mirchi. He worked for varsham, Chatrapathi, Chakram ,Billa ,Mr.Perfect , and mirchi. Prabhas is the first south Indian actor to have its own wax statue in Madame Tussauds’s wax museum. Although he was the son of a film producer, he had no intensions to become an actor. He had always wanted to be a businessman. But he could not resist from himself from the glamour world for long and soon he entered the film industry as an actor. His father late Uppalapati Suryanarayana Raju was a famous film producer in the Telugu film industry and his mother’s name is Siva kumari. He has one elder brother, Pramod Uppalapati and an elder sister Pragathi. His uncle Krishnam Raju Uppalapati is also a Telugu actor. 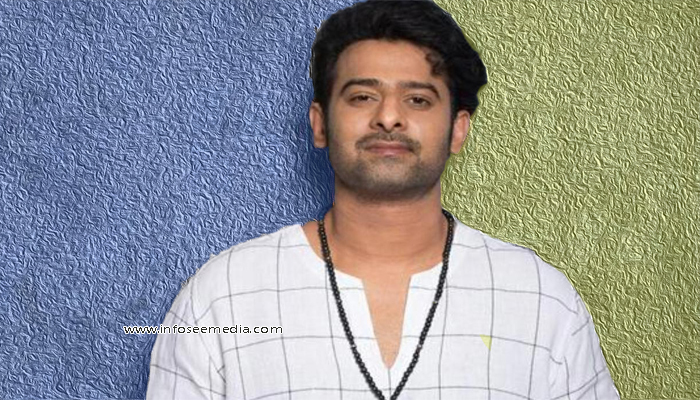 Prabhas did his schooling from DNR school, Bhimavaram Andhra Pradesh and then he pursued engineering degree B.Tech in Sri Chaitanya College , Hyderabad he started his acting career with Eswar and following this he continued working in 1 or 2 movies in a year. Moreover it was his uncle encouraged him to act and try his luck in the acting world. Prabhas got huge stardom and huge female fan following when he got to fame with the role of Venkat in the film Varsham and continued his career with Adavi Ramudu and Chakram. In 2005 he acted in S.S Rajamouli’s film Chatrapathi in which he played the role of refugee, exploited by goons. It had a 100 day run in 54 centers. Later he acted in Pournami , Yogi , Munna an action drama film came out in 2007 followed by the action-comedy Bujjigadu in 2008. In 2009 his two films were Billa and Ek Niranjan Indiaglitz called Stylish and visually rich. The actor reprised his role in Bahubali-2 The conclusion which became the first ever Indian film to gross over 1000 crores and it is the second highest grossing Indian film to date. Prabhas early movies Eeswar and Raghavendra did not fare well at the Box-office but he gained stardom with M.S Raju’s film, Varsham, opposite Trisha krishnan, in 2004. After the Success of Varsham, Adavi Ramudu and Chakram did not live up to the expectations of Prabhas fans. However in September 2005 he made a comeback with the phenomenal block buster chatrapathi opposite actress Shriya Saran. Chatrapathi was followed by unsuccessful films such as Pournami ,Yogi, and Munna. Munna also Starred Illeana opposite him. His Bahubali series made him one of the most popular faces in Telugu film Industry. He continues to have a large, loyal fan base among the Telugu people , especially among young women. Critics choice Actor at lux Sandal Cinemaa Awards for 2010 for his role in Darling.